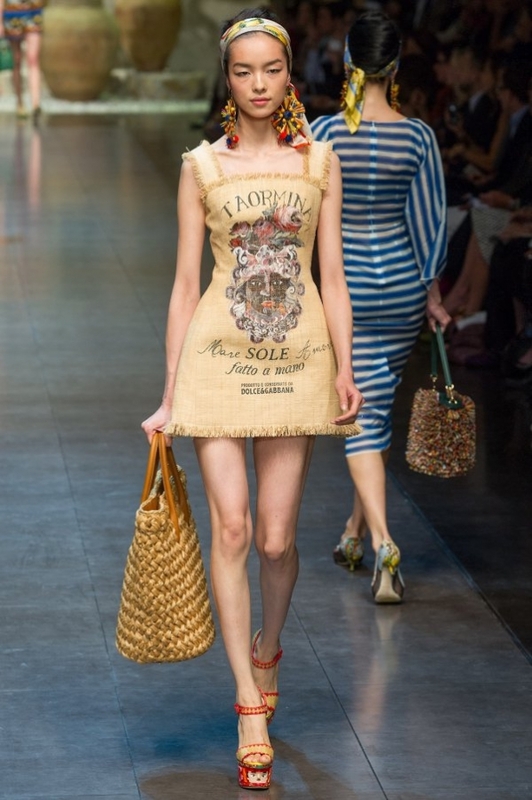 Dolce & Gabbana Spring 2013 Collection. 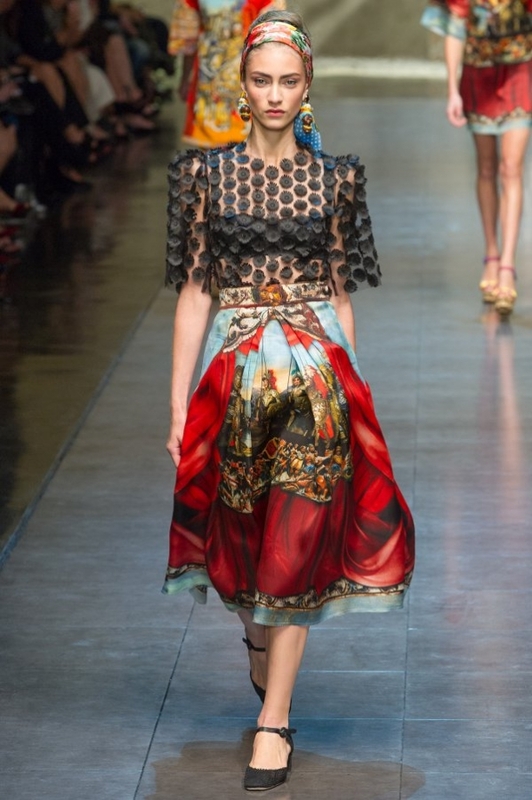 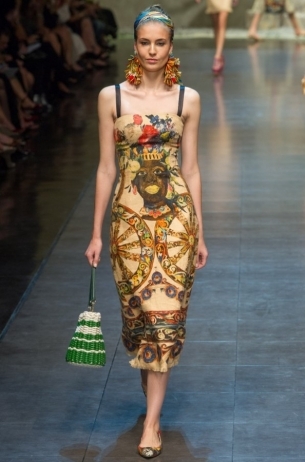 The new spring 2013 fashion collection signed Dolce & Gabbana took a totally new turn with the designs going back to ancient Roman styles for inspiration. 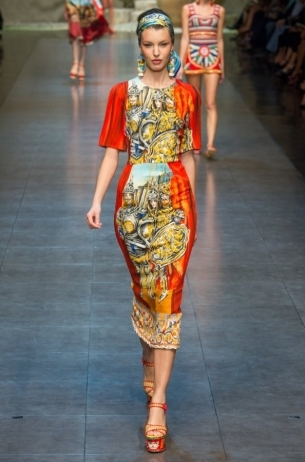 Going back to their Sicilian roots seems to have payed off for the designer duo as the collection was received well be the public, so browse through the new collection and see if it suits your style! 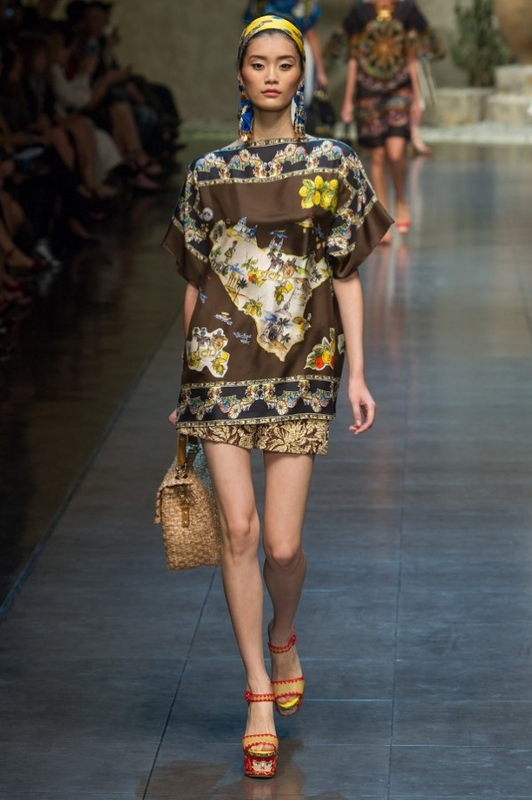 It seems that Dolce & Gabbana decided to go back to their roots with their spring 2013 fashion collection as it was packed with Sicily written details and Romanesque patterns and motifs, details which gave the collection a totally unique feel. 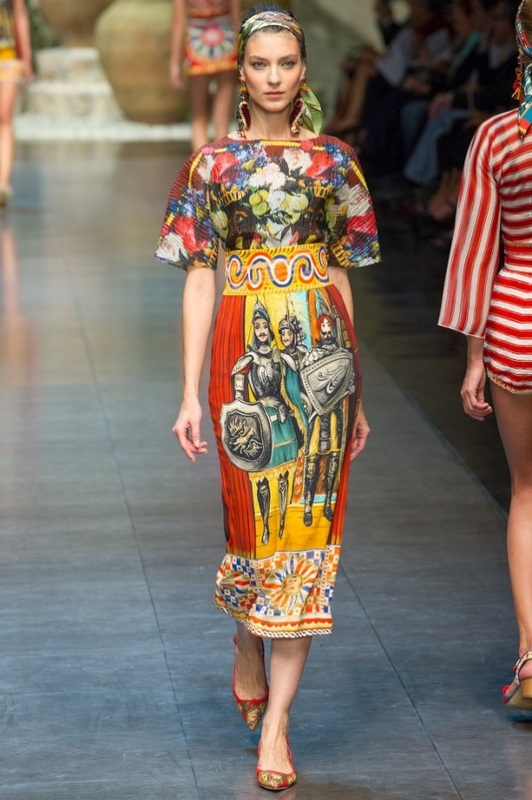 Although the designer duo went wild with their designs for the past couple of spring seasons (last year it was a veggie-fest at Dolce and Gabbana), this spring 2013 season they decided to go all-out with and opted for bold motifs displayed on some Romanesque influenced patterns. 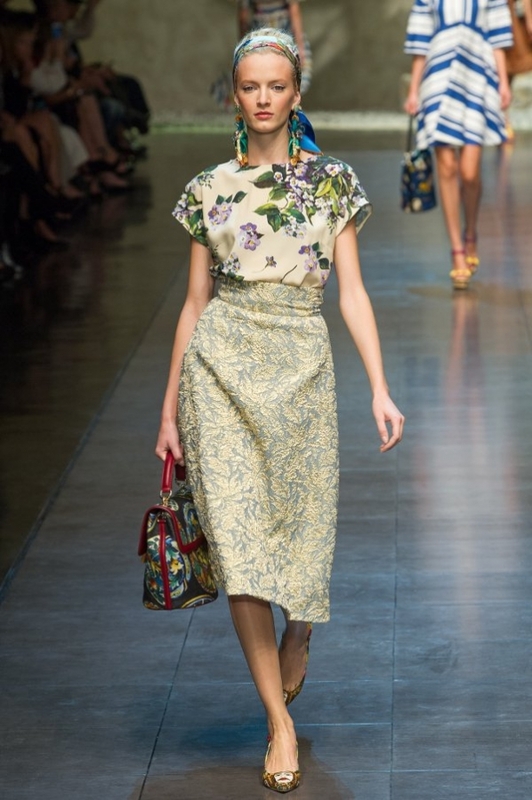 From stylish corsets to stylish mini dresses and fab midi skirts and dresses, the collection features various stylish silhouettes that can definitely make you stand out. 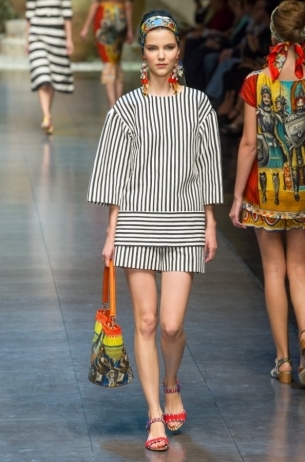 However, the heavy dose of Roman soldier prints, vintage swimwear inspired playsuits, raffia sack dresses and bent cane corsets paired with colorful oversized earrings and colorful scarfs worn as headbands can be a bit too much for some people. 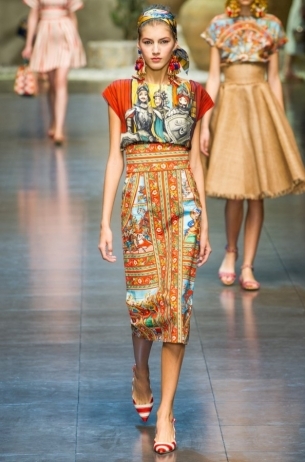 Stefano Gabbana and Domenico Dolce opted for a chic pencil skirt paired with a matching top to introduce their new collection to the public present at the Milan Fashion Week, ensemble which set the tone for the upcoming designs as the roman soldiers imprinted on the fabric were impossible to miss and gave the designs a touch of edge which balanced the collection. The soft feminine shapes featured in the collection were balanced by the edginess given by the bold and quite colorful prints, as well as by some of the fabrics used in the manufacturing process. 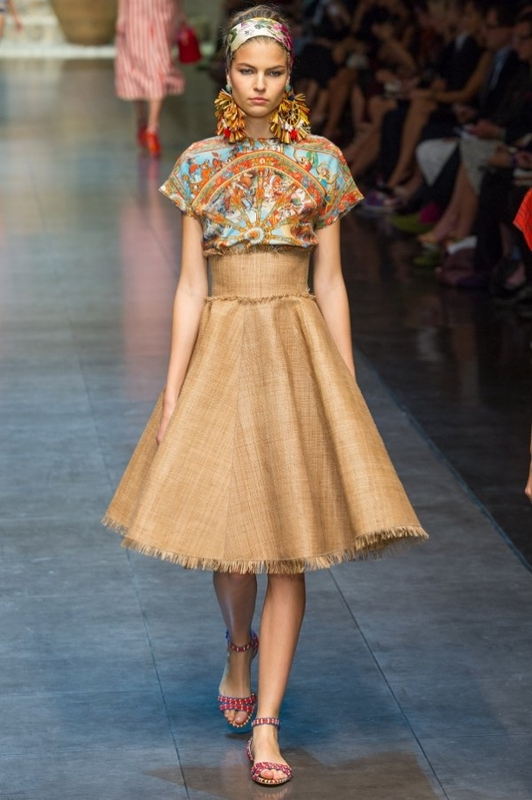 Among the the 86 garments featured in this particular collection, the designers chose to introduce fabrics that seem quite an odd choice, fabrics such as raffia. 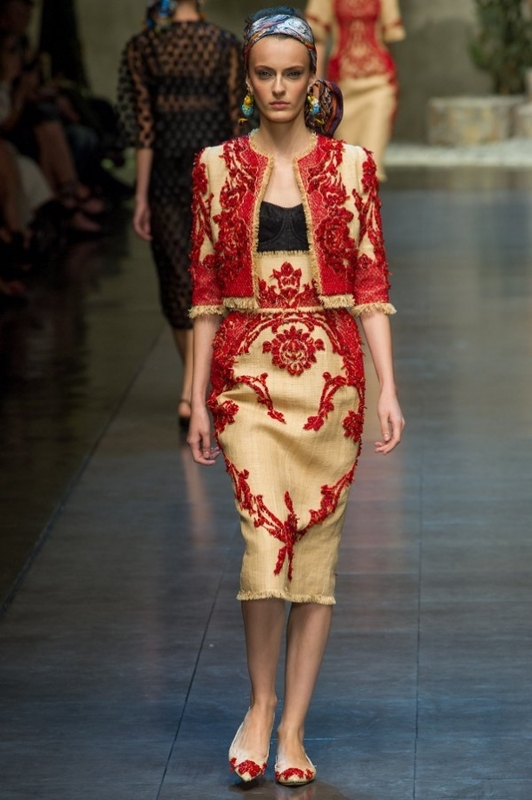 The silky luxurious ensembles shared the podium with raffia sack mini dresses and intricately designed corsets and dresses made out of bent cane and fabric. 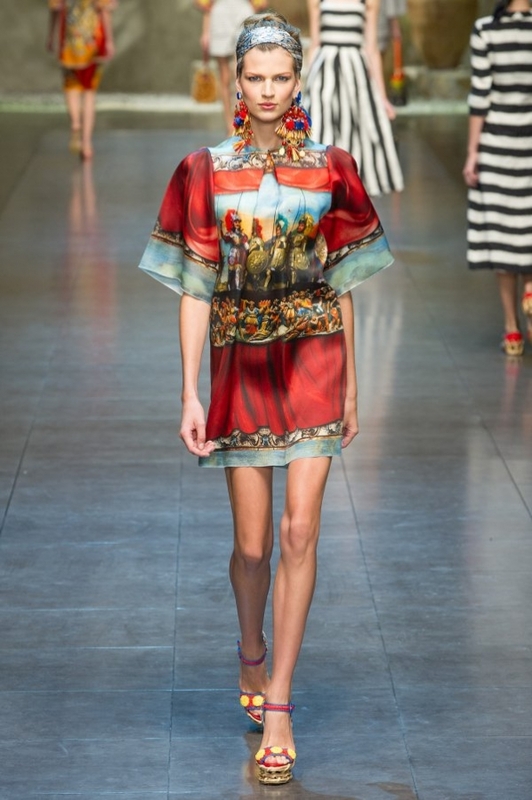 The two designers had quite a success with their unique vision over fashion, so this collection might seem opulent and risqué, but they bring individuality and scream attention, making them perfect for the modern woman who loves attention, so if you're all about making heads turn with your beauty and style, check out Dolce & Gabbana's spring 2013 collection and pick your new season must haves!